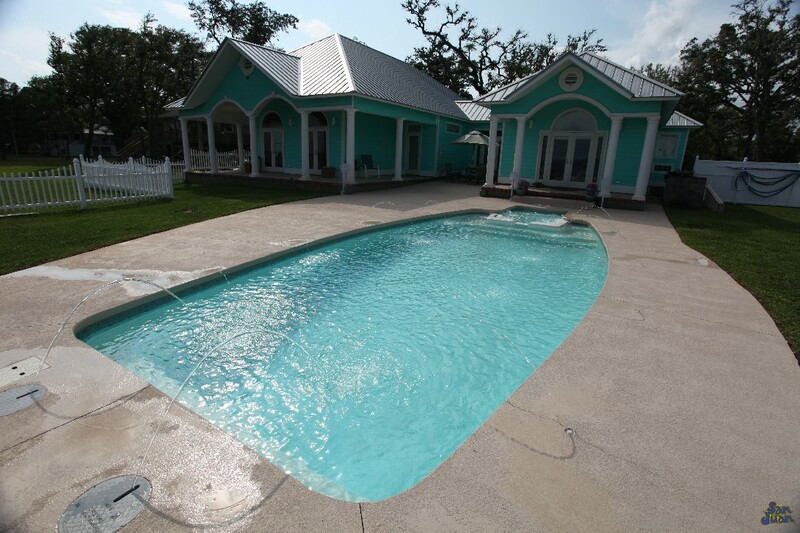 At San Juan Pools, we do our very best to provide our clients with the best fiberglass pool & spa designs on the market. 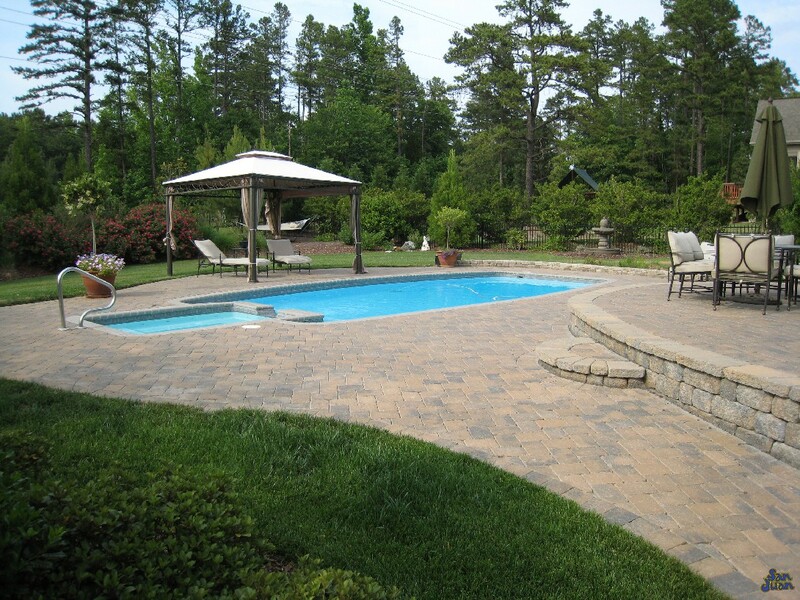 We certainly lived up to our standards with the Olympus fiberglass pool & spa combo. This unique pool design includes everything you could want in your backyard oasis. From a long rectangular body, to a wide tanning ledge and an attached spa; this pool is perfect for a large gathering of swimmers. Simply fire up your outdoor grill, turn on your spa heater, gather your patio furniture and you’ve got an outdoor venue sure to wow and entertain! In fact, we’ve designed the Olympus pool model to be an all-in-one design package; chocked full of our greatest pool aspects. 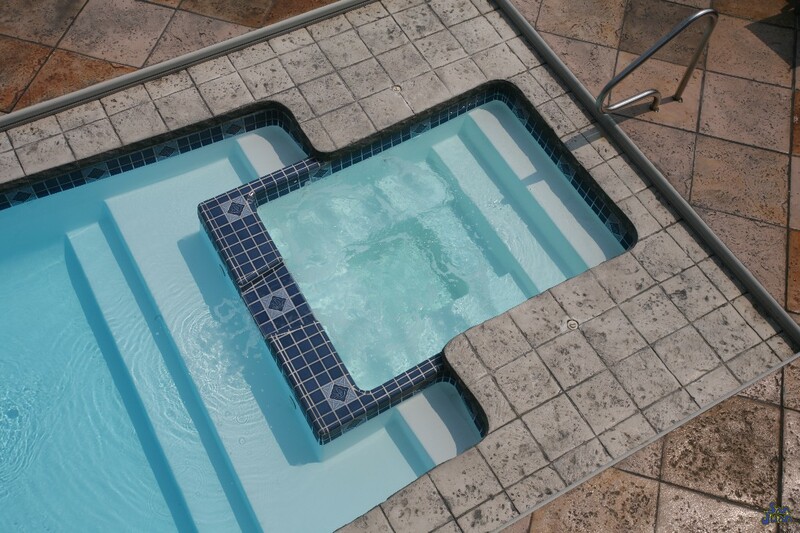 For starters, the Olympus is a modern twist on your standard rectangular pool shape. By bending the walls slightly, we’ve maximized the swim space of the pool basin. 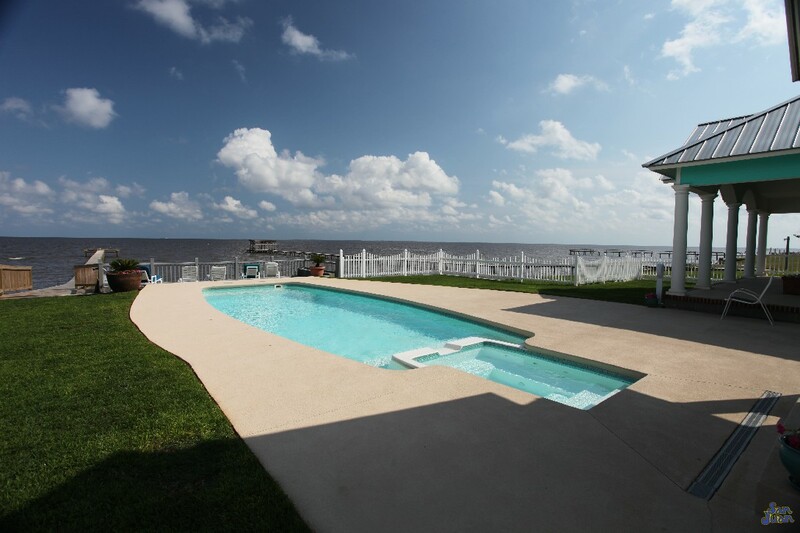 This is a perfect area for raft floating and pool games; a perk your guest are sure to appreciate. Secondly, we’ve included an attached spa as part of this product. We felt that designing the Olympus as both a pool & spa combo provides our clients with a superior design; one you’re sure to enjoy! To make the Olympus even more unique, we created a spacious tanning ledge between the pool and spa basin. Tanning ledges are excellent spaces for sun bathing and conversing with guest. We recommend maximizing the utility of this space by adding a Ledge Lounger or any other type of in-pool furniture. Moving on, the Olympus includes a dual set of entry steps in the shallow end. These entry steps provide ample space for multiple swimmers to enter and exit the pool. They also create a modern twist that enhances the design of the Olympus and truly sets this pool apart from any other. 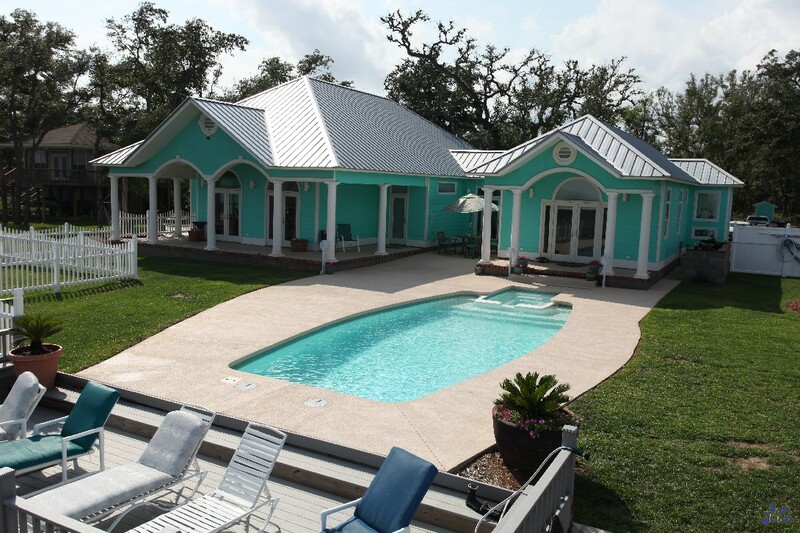 At San Juan Pools, we only have a handful of models that include both the pool & spa in the same fiberglass shell. The Olympus is part of this elite club; therefore, we consider it a all-in-one model. With the Olympus, there is no need to shop further for a spa shell or any other hot tub accessory. We give it to you all upfront so you can maximize your outdoor space for many memories to be made. In summary, the Olympus is a stunning display of our design capacity and quality craftsmanship. We created the Olympus to be a premium model; it provides a gorgeous spa that blends right into a large pool basin. 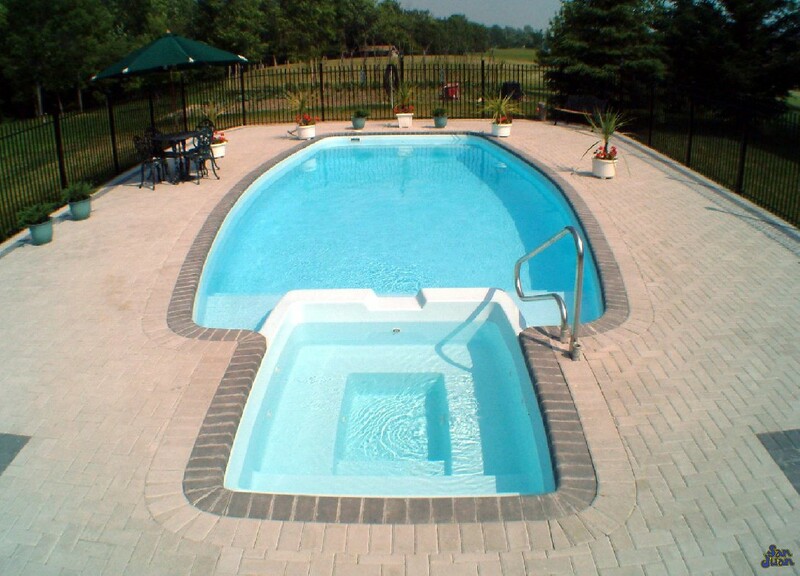 You’re sure to entertain your family and guest for hours with this unique and timeless fiberglass pool.